As CEO for Peoples Health, Warren Murrell is the driving force behind the Peoples Health business model and is focused on making a positive impact on the overall health of plan members. He steers the development and enhancement of the Medicare Advantage plans offered by the company. Murrell guides the overall strategic plan for the continued growth of Peoples Health. He leads the company in establishing its medical home model for its health plans to improve the health outcomes for all plan members. Murrell brings more than 24 years of healthcare experience to this role, 16 of which have been with Peoples Health. 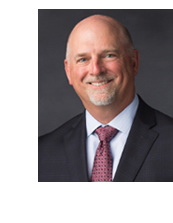 Previously, he served as president and chief operating officer for the company, overseeing project management and daily operations, helping to direct and implement innovative strategies designed to optimize health outcomes for the company’s plan members, and fostering continued company growth. He also served as chief operating officer, vice president of IPA services and regional director of IPA services. Prior to joining Peoples Health as sales manager in 2000, Murrell developed his healthcare expertise at Memorial Sisters of Charity Health Network and Prudential Healthcare, both in Houston, Texas. Murrell earned a bachelor’s degree from Louisiana State University and a Master of Business Administration focused on healthcare management from the University of Miami. Since 2012, he has served on the Louisiana Association of Health Plans board of directors, for which he is currently president. He also serves on the board of directors for Greater New Orleans Inc. and for Peoples Health. 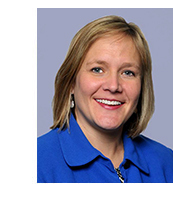 As chief financial officer for Peoples Health, Kim Eller oversees all financial operations for the company. 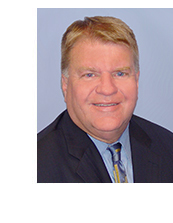 Eller joined Peoples Health in 2004 after a long career with Tenet Healthcare Corporation, where he served as the chief financial officer for Tenet’s Meadowcrest Hospital in Gretna. Eller received his Bachelor of Science in accounting in 1976 from the University of Florida and began his career with the State of Florida Office of the Auditor General. 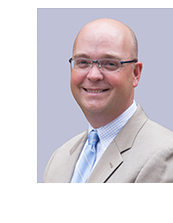 He transitioned into healthcare with a move to Nashville to work for Hospital Corporation of America and first came to New Orleans in 1984 when he joined Lakeside Hospital. The following year, he joined National Medical Enterprises (which eventually became Tenet Healthcare Corporation) and has since worked for a number of full-service hospitals, including University Medical Center in Lebanon, Tennessee, Parkview Hospital in Philadelphia, Pennsylvania, and several hospitals in the New Orleans area, including Doctors Hospital, St. Charles General and Meadowcrest Hospital. 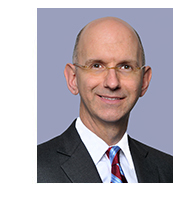 An exceptional leader, Eller was awarded CFO of the Year three times throughout his tenure with Tenet. Eller is a two-time New Orleans CityBusiness Money Maker recipient. 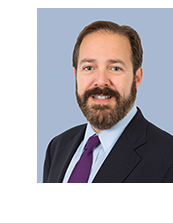 As Chief Information Officer for Peoples Health, Colin Hulin provides leadership in developing the company’s information technology strategy to ensure that it is appropriately aligned with regulatory and organizational requirements. Under Hulin’s direction, the IT department consults, develops and maintains automation systems that uphold and propel corporate operations and goals while supporting the company’s employees. Hulin earned both his Bachelor of Arts and Master of Science in mathematics from the University of New Orleans. His career in information systems and technology spans more than 35 years, during which he served as CIO for Summit Health Group and as Vice President of Information Systems for Pan-American Life. Hulin also served as an adjunct computer science instructor and curriculum advisor for over 12 years at the University of New Orleans. In 1995, he was named the College of Sciences Alumnus of the Year. Dedicated to education, Hulin has spent many years serving on the school boards of St. Elizabeth Ann Seton Elementary School, Archbishop Rummel High School and Archbishop Chapelle High School. He frequently lends his technology and business expertise on a volunteer basis to several community, school and church organizations. Hulin also serves on the Louisiana Leadership Council of the National Multiple Sclerosis Society and on the UNO Foundation’s board of directors. As chief marketing officer for Peoples Health, Nick Karl is responsible for leading the company’s sales, marketing, communications and public relations efforts to drive enrollment and revenue growth in its Medicare Advantage products. He supervises sales, lead generation and distribution processes, implementing revisions when necessary to optimize effectiveness. He also monitors federal and industry regulatory environments and provides innovative solutions to enhance the company’s market position. He supports dynamic corporate relations with various audiences, promotes a healthy corporate image for Peoples Health and fosters strong brand identities for the company’s products and services. Karl brings more than 16 years of marketing and community relations experience to the position. In his previous role as vice president of marketing and communications for Peoples Health, he developed, implemented and monitored the success of products and services that maximize company revenue. He has held several supervisory positions within the company, including assistant vice president of marketing and communications, where he evaluated market research to meet changing conditions, as well as assessed the perception of the company’s products and corporate brand. He joined the company in 2011 as sales director and was responsible for overseeing the company’s sales force and directing beneficiary enrollment and retention. Prior to joining Peoples Health, Karl began his career with the New Orleans Saints, where his ability to lead others, build relationships and inspire confidence quickly earned him multiple managerial roles, culminating in the position of director of community affairs. Karl earned a Bachelor of Science in sports administration from the University of Southern Mississippi. He is board chairman for the Jefferson Chamber of Commerce and a board member for Second Harvest Food Bank of Greater New Orleans and Acadiana. He received a Super Bowl XLIV championship ring for his service with the Saints during its 2009 championship season. As senior vice president of internal audit and compliance for Peoples Health, Michael J. Robért is responsible for implementing comprehensive internal control and reporting systems, as well as the regular monitoring and evaluation of those systems. He is also responsible for coordinating regulatory and financial reviews with outside agencies and auditors. A key participant in Peoples Health strategic planning activities, Robért coordinates the development of all plan cost projections, ACRP filings and Medicare Advantage bids. 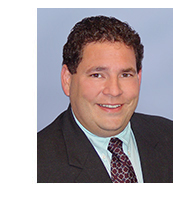 Robért joined Peoples Health in 1995 and additionally serves as privacy officer for Peoples Health, ensuring the company’s health plans remain compliant with all state and federal regulations. In this capacity, he directed the development and implementation of the Peoples Health HIPAA compliance program. With a bachelor’s degree in accounting from Southeastern Louisiana University, Robért began his financial career as controller for Browns Velvet Dairy in New Orleans and served on the Louisiana Dairy Association Finance Committee. Promoted to the position of chief financial officer, his work was instrumental to the dairy’s favorable sale to a national chain. Robért then joined the newly established MedFirst Health Plans in New Orleans as controller, and served as part of the management team in acquiring an HMO license, developing a business plan and designing competitive health insurance products. Robért is an active member of America’s Health Insurance Plans and the Louisiana Association of Health Plans. He is a past member of the St. Peter’s School Finance Committee and former chair of the school’s Building and Maintenance Committee. Robért is also an active member of the Knights of Columbus. As senior vice president of network development for Peoples Health, Janice Ortego manages all physician, hospital and ancillary provider issues, including contracting, credentialing, provider financial and demographic affiliations, communications, education, provider inquires, and claim research and resolution. Ortego has worked in the health insurance industry since 1985 in markets with various levels of exposure to the industry, including Miami, East Texas and New Orleans. Before joining Peoples Health in 1998, Ortego served as the vice president of provider relations for a start-up HMO in the New Orleans area and was charged with contracting a complete network of physician, ancillary and hospital providers within a five-parish area. While there, she also assisted with provider contracting for the company’s four management services organization sites throughout the state. Before moving to the New Orleans area, Ortego concentrated her experience in the provider relations arena working for CAC-Ramsay in Miami. Ortego began her career in health insurance while working for a health plan in Texas as a marketing representative and office manager for the company’s satellite office. Currently, Ortego represents Peoples Health as a member of America’s Health Insurance Plans and the Louisiana Association of Health Plans. As senior vice president of health services for Peoples Health, Barbara Guerard provides administrative oversight to the medical management department, including strategic planning, overall direction of the clinical and nonclinical functions of the department, and development of programs that improve the health outcomes for plan members. She is also responsible for establishing measures for appropriateness of care, utilization management, member satisfaction, and compliance with state and federal regulatory guidelines. 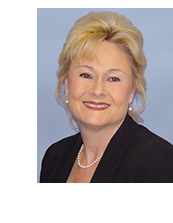 Guerard brings 30 years of healthcare management and clinical experience to Peoples Health, having begun her career as a nurse practitioner. Her senior management experience includes strategic planning, operations, policy formation and systems enhancements. She also spent 18 years in clinical positions, including as senior administrator at the Harvard Community Health Plan in Boston. Prior to joining Peoples Health, Guerard was executive director and chief executive officer for both LSU Healthcare Network and Faculty Practice at the University of Vermont College of Medicine/Fletcher Allen Health Care. She also served as vice president of adult multi-specialty services for the University of Tennessee Faculty Practice in Memphis. Guerard earned her Doctorate in Health Services Administration at the University of Alabama in Birmingham and her Master of Business Administration from Suffolk University in Boston. She also earned a Bachelor of Science from Northeastern University. 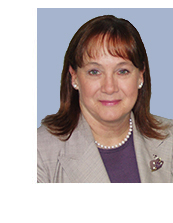 Guerard serves as chairwoman of the AAAneurysm Outreach board of directors. Alden Kellogg oversees the company’s legal department. Kellogg’s responsibilities include managed care transactions, risk management, Medicare and group health plan compliance, insurance procurement, corporate governance, contract negotiations, litigation management and health care provider compliance, as well as advising executive staff. Kellogg has served as counsel for Peoples Health since 2005. 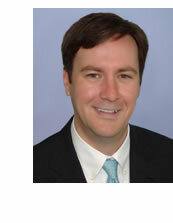 Prior to joining the company, he worked for a New Orleans law firm, where he focused on representing physicians, hospitals and other health care providers in litigation, regulatory compliance and transactional matters. Kellogg earned a Bachelor of Arts from Louisiana State University and a Juris Doctor from Southern University Law Center. He currently serves on the Greater New Orleans Inc. Southeast Louisiana Super Region Committee and is the past chairman for both Greater New Orleans Inc. NextGen Council and United Cerebral Palsy of Greater New Orleans. He is also a member of the Louisiana Bar Association, the International Association of Defense Counsel and the Association of Corporate Counsel. As Vice President of Finance and Controller for Peoples Health, Emmet Geary oversees the company’s accounting and finance functions, including financial statements, regulatory reporting, internal controls, cash management and related financial analysis. Before joining Peoples Health in 1999, Geary was an accounting manager for International Shipholding Corporation in New Orleans and served as senior-in-charge for a top 20 Washington, D.C., regional CPA firm. He joined Peoples Health as senior accountant and has served as controller for the past seven years. As part of the senior management team, Geary plays an integral role in the company’s financial affairs and participates in the overall management of the company. Geary earned a Bachelor of Science in management from Tulane University. He is a member of the American Institute of Certified Public Accountants and the Insurance Accounting & Systems Association. As vice president of clinical integration for Peoples Heath, Dr. J. Brent Wallis is responsible for developing, executing and sustaining provider engagement strategies that support key company initiatives and overall goals. He facilitates a collaborative environment between Peoples Health and its network providers to ensure cost-effective, quality health outcomes for members of the company’s health plans. New Orleans and medical director of the resident clinic for the university’s Program of Medicine-Pediatrics. Wallis earned a medical degree from Medical College of Georgia and completed his residency in the Program of Medicine-Pediatrics at Louisiana State University Health Sciences Center New Orleans. 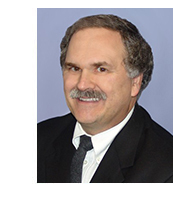 He is board-eligible in pediatrics and holds a certification from the American Board of Internal Medicine. He is also the medical director and a volunteer physician at Luke’s House, a nonprofit, free local clinic that provides a doorway to long-term healthcare solutions for uninsured patients. As vice president of health plan operations for Peoples Health, Suzi Swoop O’Brien is responsible for directing the activities of various departments—including claims, systems operations, appeals and grievances, provider affiliations and member services—to streamline technologically advanced processes while exceeding regulatory mandates. She also provides creative and strategic support for corporate projects and initiatives. O’Brien has devoted her career almost exclusively to the local healthcare market, giving her in-depth knowledge and a unique perspective that she brings to her position. An employee with Peoples Health for 20 years, she has held several managerial roles within the company. She most recently served as assistant vice president of claims operations and oversaw multiple departments to direct system setup for claims processing and optimize operational practices. O’Brien earned a Bachelor of Science in commerce and business from the University of Alabama, where she majored in healthcare management. She is a member of the United Way of Southeast Louisiana’s Women’s Leadership Initiative team and dedicates additional time serving a number of local nonprofit organizations. She also represents Peoples Health as a member of the Louisiana Association of Health Plans and America’s Health Insurance Plans.